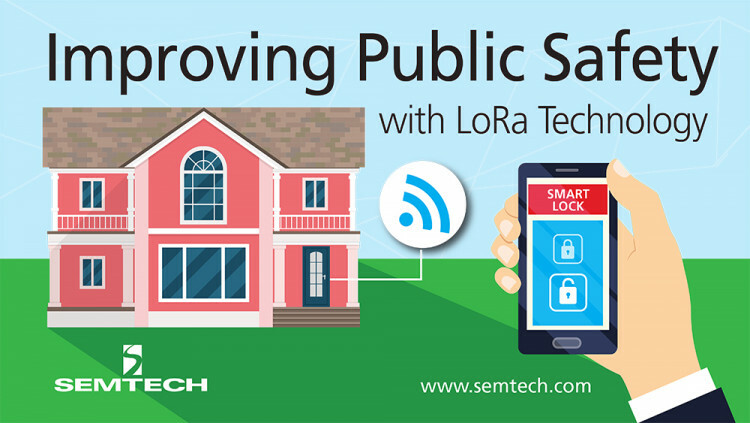 Semtech Corporation (Nasdaq: SMTC), a leading supplier of high performance analog and mixed-signal semiconductors and advanced algorithms, announced that MI Products, a leading provider of home safety solutions, has selected Semtech’s LoRa® devices and wireless RF technology (LoRa Technology) to help improve public safety in its line of electronic smart door locks, MiLocks. MiLocks, one of the first electronic door locks that is LoRa-enabled, can be integrated in a smart building or home to improve security without using a key and with LoRa Technology’s low-power capabilities, the battery can last up to three years. A person, via a mobile application, is able to unlock and lock the door from up to 30 feet away. The electronic door lock also provides additional identification with biological fingerprint technology. MiLocks is Amazon Alexa-enabled and will be available on Amazon.com® by October 15. • Low Power: The LoRaWAN protocol was developed specifically for low-power and enables unprecedented battery lifetime of up to 20 years depending on the application. • Geolocation: This feature enables tracking applications without GPS or additional power consumption.